1998 was a good year to be a fan of Jennifer Lopez. She had just come off of a great turn as Selena Quintanilla in Selena, and her performance as Karen Sisco in Out of Sight made even more people stand up and take notice. Unfortunately, in the following years, movies like The Wedding Planner, Maid in Manhattan and Gigli showed that the promise of 1998 was an outlier. Second Act continues that storied tradition of mediocrity. On the surface, life looks pretty good for Maya (Lopez). She has a job she excels at and enjoys; has a great partner (Milo Ventimiglia); and is surrounded by supportive family and friends. After she’s passed over for a promotion due to her lack of a college education, Maya’s confidence in her life choices start to crumble. When her genius nephew spruces up her resume with a few white lies, Maya lands an opportunity that allows her to use her natural skills, but also forces her to pretend to be someone she’s not. Second Act is a confusing mix of several different kinds of comedies. There’s the romance straight out of the romantic comedy, pratfalls and potty humor from the Apatow camp, and a gee-whiz camaraderie angle that left me wondering if magic pants were about to come into play. Lopez is completely out of her element with the physical comedy. She sells tripping over a barrier about as convincingly as Denise Richards did playing a nuclear physicist in The World Is Not Enough. Not helping is her complete lack of comedic chemistry with co-stars Leah Remini, Treat Williams and Dave Foley. When the top comedic performance of the movie is delivered by Charlyne Yi… there’s a problem. The film’s entire structure is supported by the worst kind of cliches: Maya’s lie and the hoops she has to jump through to keep the lie alive; the workplace competition that was tired in 2013 when The Internship did it; and a lazy second act reveal so bad it’d feel out of place in a Hallmark Christmas movie. 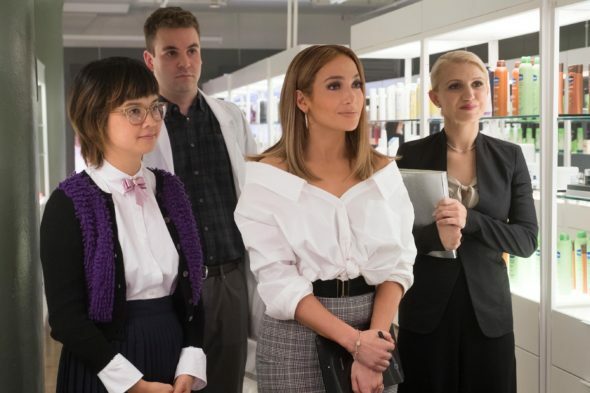 Second Act is a Frankenstein’s monster of plot points from already terrible movies. This is a movie that your mom who sees one movie a year will probably love. For the rest of us, it’s the worst movie of 2002 that somehow got released in 2018.